Once you stay at West Bay Club, you’ll be planning your return before you even leave. You’ll love sitting on the private terrace with a cocktail while enjoying the water view, and if you want to see it up close, the beach is just a short walk away. Swim and snorkel in some of the Caribbean’s clearest waters, or hit the resort’s pool or fitness center. West Bay Club is an exclusive resort on Grace Bay has everything travelers need for an unforgettable vacation, from the space and privacy of the 4-bedroom condo, to the upscale furnishings, to the great ocean views from the terrace. This peaceful retreat’s architecture blends Caribbean charm with modern chic. West Bay Club features boutique amenities, such as the Anani Spa, daily housekeeping, and supervised kid’s programs. Outside, lounge poolside or on the sand to take full advantage of the pool and beach service. Complimentary water sports and bicycles keep guests outside as much as possible, but there’s also a fitness center for those who prefer to stay active indoors. The fully air-conditioned four-bedroom suite has a spacious living area with a full entertainment system, including a 46-inch panel TV, surround sound, and an iHome. Cooking in the kitchen is a breeze, with stainless steel appliances and cozy counterspace. Granite countertops and marble flooring run throughout the space. There’s even a media room/den so guests don’t feel crammed. West Bay Club’s four-bedroom suite also has a large oceanfront terrace with Kingsley Bates outdoor furnishings, so guests can soak up the sun and ocean views without leaving their suite. Three suites have king-sized beds, and each opens to the terrace. The fourth bedroom is great for kids, with two bunk beds and no exterior access. 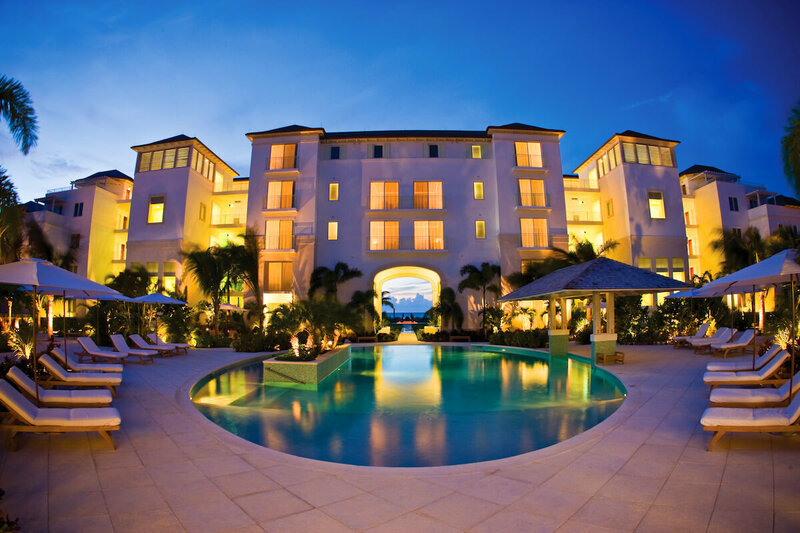 West Bay Club is a gated resort villa with easy access to Turks and Caicos’ best destinations. The botanical gardens, hottest restaurants, and Turtle Cove Marina are all within a few minutes’ drive.